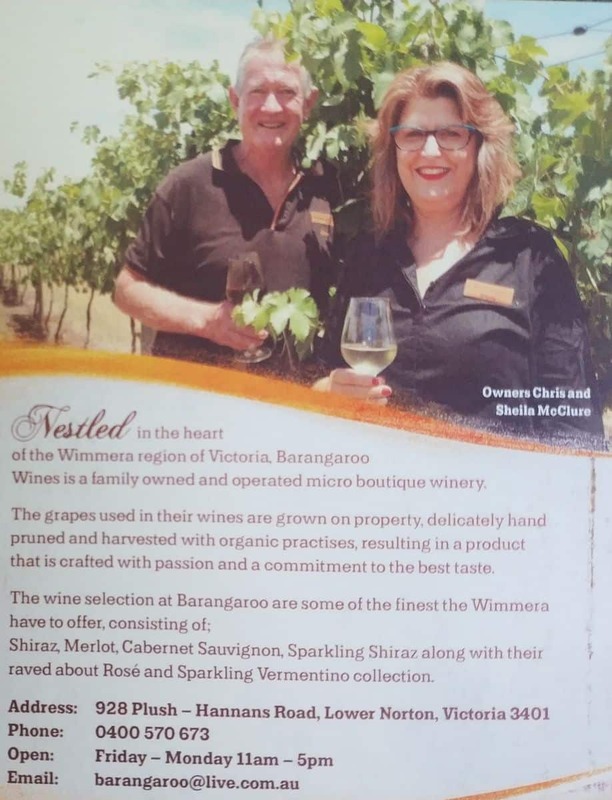 Barangaroo Boutique Wines is a jewel of the Grampians wine region. This scenic winery is all about enjoying wine tasting, spending fun moments with special friends, and indulging in a scenic setting with beautiful views. Settled at the base of the hill ranges of the Grampians, this scenic winery facility is a cosy, picturesque, upscale setting. Many visitors often stop by this venue just to taste their award-winning wine, Vermentino. Those staying at Halls Gap should come here on a day trip. The winery is busy all throughout the year; however, March certainly is the busiest month because their special vintage is released at this time. At Barangaroo, the winemakers use some of the best hand picked grapes for crafting their wines. They handle each batch gently in order to prevent bruising. The winemakers always gently crush the grapes before moving to fermentation, with their wine maturating at least 12 to 18 months. 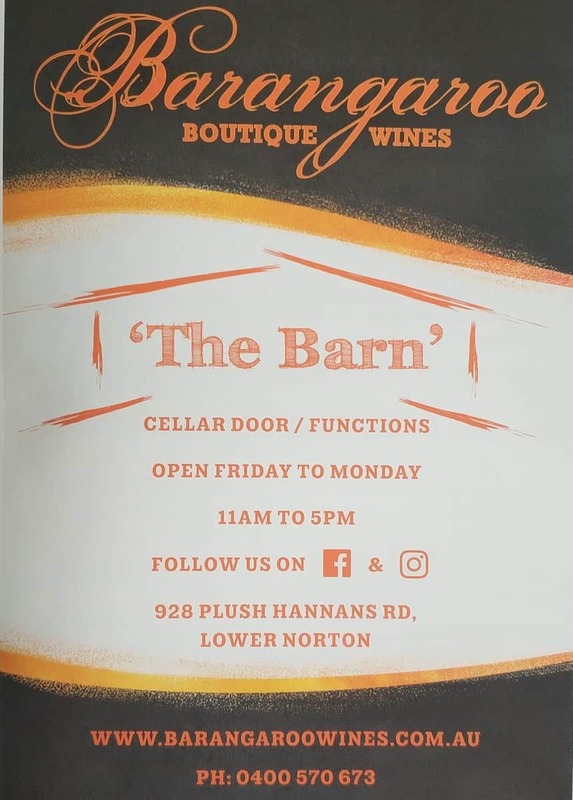 Visitors are welcome to take a tour and learn more about the winemaking process and can taste more than one wine at the cellar door. The winery’s scenic setting includes a pond, unique décor and vintage furniture, making it a welcoming and warm setting. Sit on the undercover deck and immerse yourself in the spectacular views overlooking a creek and with views of the mountain ranges in the background. The winery’s unique Tuscan landscaped garden overlooks the mountain ranges, lush bushland and timbered creek. Undoubtedly, Barangaroo Boutique Winery is a pleasant and scenic venue for a wedding, birthday party or corporate function. Hi, you mention on your website the private wine tour operators. Would you be able to give me some direction on how to contact them, please? We would like to book a wine tour for the end of January but I struggle find contact details on the Internet. There aren’t many operators but I have attached a link to “Grampians Eco Tours” for you here. 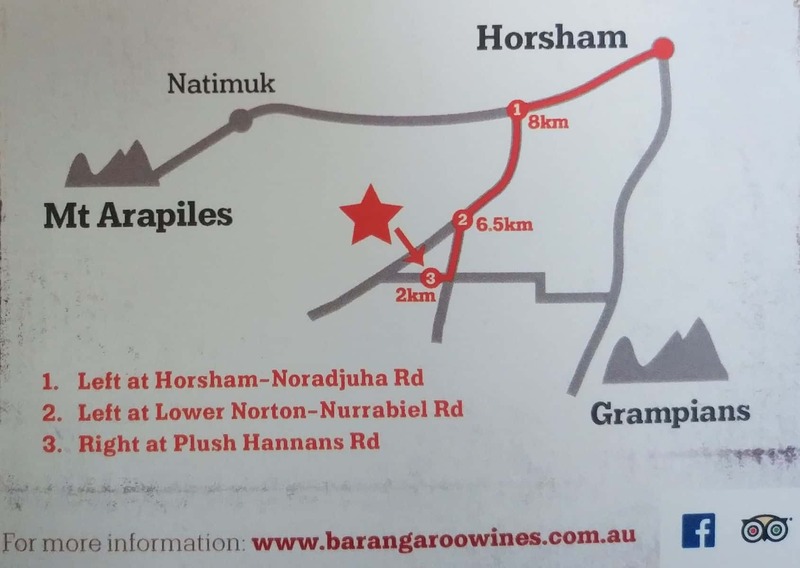 They will pick you up and drop you off in Halls Gap or Dunkeld and includes food and wine tasting. You will need to email them to get the price details.